Branden is wearing this costume which he created a week before Halloween. Back in September Branden was deciding on what to be for this year and the idea hit him while sitting on the couch. For the past 3 years he has done the joker, and wanted to somehow incorporate it again but in a different way. So he came up with the idea of doing more than one character into one mask set up called Gathoms Trio of Terror! 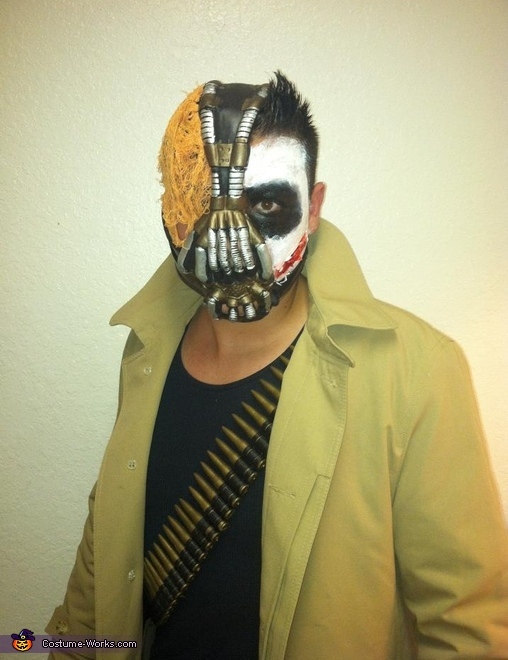 The unique blend of the Dark Knight antagonists all into one sparked the costume idea and soon became very popular amongst the crowds in which he wore this to.